Question 7/ Day 7 - Is it the right moment? Often, nothing kills an image more than keeping your distance. If your subject is smaller than a car, take a step or two closer before taking the picture and zoom in on your subject. Your goal is to fill the picture area (frame) with the subject you are photographing. Up close you can reveal telling details, like a sprinkle of freckles, arched eyebrow, or sparkle in the eye. The eyes say it all! This image that I call the "Pakistani Girl” was made in Karachi about 6 years ago. I am a big fan of National Geographic’s photograph “Afghan Girl” (Sharbat Gula) which was made by Steve McCurry and it was the cover photograph on June 1985 issue. Six years ago when I was visiting Karachi, my family went shopping and I took my camera and started visiting the “Kutchi Abaadis” (slum areas). 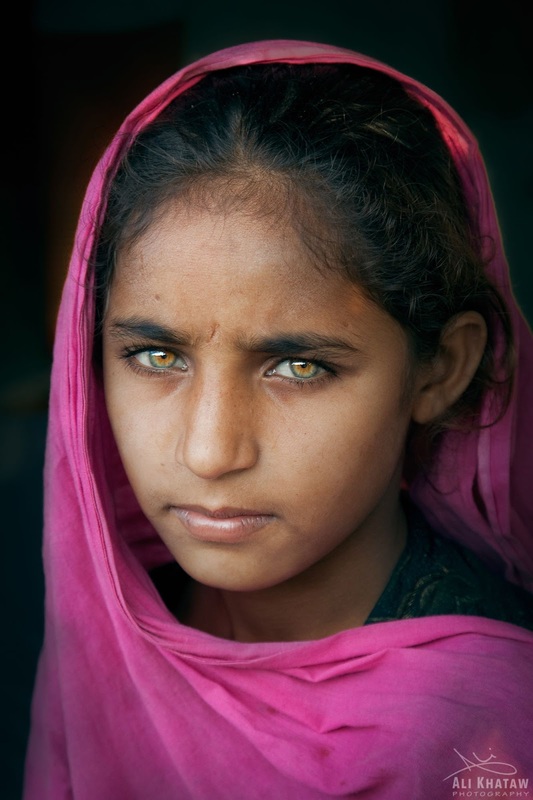 I made several images and then I came across this little girl who had these amazing piercing eyes. I immediately asked her father if I could photograph her. He agreed on the condition I would give his family a large print (which I sent to her family from the US). I spent nearly an hour talking to her and her family until she was comfortable. I am certainly no match for National Geographic or Steve McCurry but I felt really good with the results. I got what I was looking for, a “Pakistani Girl”! Hope you found this helpful! Stay tuned for tomorrow when we will discuss “LIGHT"